It’s that time of the year again, what all organizations are striving for, the opportunity to play for the Larry O’Brien trophy. The 82-game regular season gauntlet has concluded, and the Western Conference playoffs are taking place come Saturday. As it seems to always go, it was a cage fight over in the West and it won’t be getting any easier. We are all in store for a wildly entertaining 2 months of playoff basketball and the first round will kickstart the madness. As we take a look at each first-round matchup we’ll delve into the X-factors for each underdog. 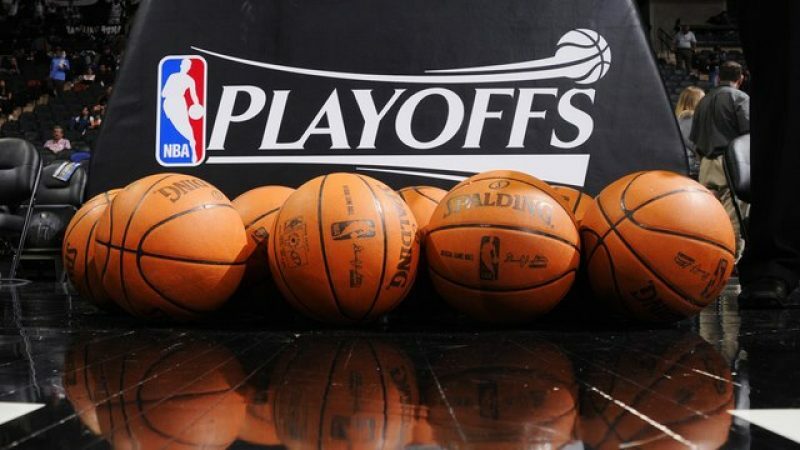 The first game of the Western Conference playoffs will be between 2 familiar foes, Golden State and the Clippers. It hasn’t been a good matchup in the past for LA as they’re just 2-14 over the past three seasons against Golden State. The Warriors owned the advantage in the head to head matchup this season 3 games to 1, winning the last three meetings after losing the first in overtime. It’ll certainly be a tall task for LA to overcome their tormentors, and with big contributions from these players, it just might happen. Everyone knows the production that Williams brings off the bench, so much so that he led the team in scoring this season. The front runner to win the Sixth Man of the Year will need to have a couple of big games in order for LA to stand a chance against the two-time defending champs. Williams averaged 21 points and 6.7 assists on 37 percent shooting from the 3-point arc against the Warriors this season. Go back just one season ago, Williams dropped a career-high 50 against Golden State, it isn’t wild to think a vintage performance like that may be needed at least once in this series. It’ll be tough for him to get going now that a more intense Golden State defense will be present, but he is a professional scorer and should be able to get his buckets. His most important contribution might not be his scoring though, the assist numbers in the 4 matchups were very solid for a two guard and they’ll need to increase even more in this series. Getting open looks to big man Montrezl Harrel and swinging it out to Danilo Gallinari will be vital for Williams as he will surely garner a lot of attention from the Warriors defense. Nonetheless, he’ll need to play exceptionally in this series in order for the Clips to take down Goliath. Harrel epitomizes the entire Clippers season, unbelievable hustle and effort. That style of play has catapulted this team into the postseason and has made them a nice story to follow. 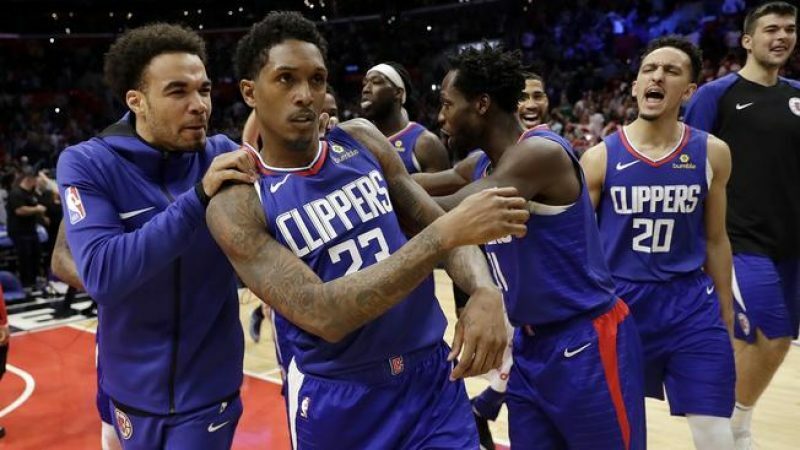 Harrel has seemed to have found his spot with the Clippers as he’s averaged double-digit points in both seasons he’s played there and has enjoyed a fantastic season in year 4 of his career. 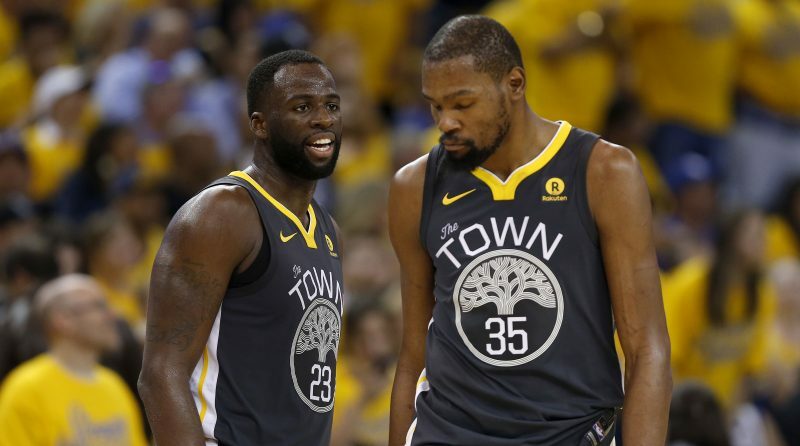 The power forward averaged 16.6 points and 6.5 rebounds on 61 percent shooting on the year, against Golden State the numbers dipped a tad to 12.8 points and 5.8 boards. Coming out of Louisville, Harrel has had the reputation of being a relentless force down in the paint who fights for every rebound and put-back opportunity. 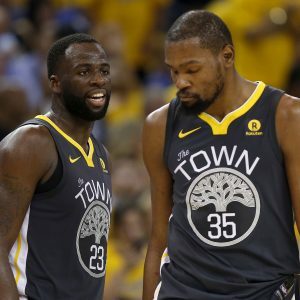 It’ll be vital for the Clips to get second-chance opportunities in order to free up their shooters, as well as preventing the Warriors from getting out in transition. 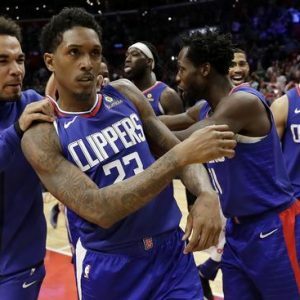 With the Clippers having the second highest three-point shooting percentage in the league, getting open looks will be vital to keep the games close. In order for the Clippers to have any hope in this series, both Williams and Harrel will need to play out of their minds. However, the Warriors will be too much for the 8th seeded Clippers and this series will be over quickly. Following game 1 of Warriors-Clippers is potentially the most interesting matchup of the entire postseason, with Denver and San Antonio squaring up. On paper, the clear edge goes to Denver who had 6 more wins than San Antonio and has sat comfortably near the top of the Western Conference for most of the season, while San Antonio has had to scratch and claw game in and game out to ensure a spot in the postseason. 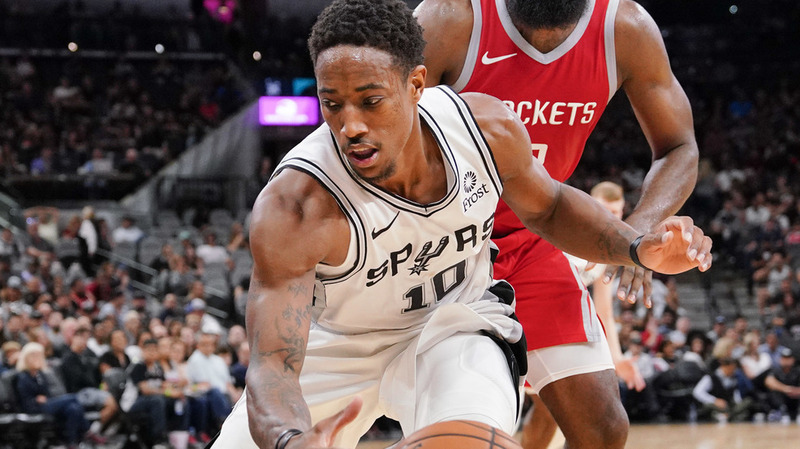 Well, there is more to it than the standings, as the Nuggets are making their first postseason appearance since the 2012-2013 season and the Spurs are in the playoffs for an unheralded 20th consecutive season. This will be a fun one folks, now onto the x-factors. White doesn’t possess any numbers that will jump off the stat sheet to anyone, and he isn’t a household name either. Prepare to remember his name after this series concludes because this very well could be his time to shine. No, he doesn’t possess wild scoring ability, but he is very similar to one Patrick Beverley minus all the trash talking. White’s defensive prowess all season long has had him in the mix for a spot on one of the NBA’s all-defensive teams. He contests an average of 9.4 shots and 4.3 three-point attempts per game as well as averaging a steal per game. In Denver it’s all about Nikola Jokic but don’t sleep on Jamal Murray who is the team’s second-leading scorer. It’ll be White’s job to slow him down and looking at the defensive work he’s put in all season he should be up for the task. On top of that his steal numbers doubled in the games against Denver this season, averaging 2.3 as opposed to 1 per game in the 63 other games he has played this season. Along with this Murray’s overall shooting percentage dipped 4 points, and it’s safe to assume White had a little something to do with that. Expect to see him all over whoever he is guarding and making their lives very difficult, his style of play isn’t the flashiest, but he sure is a player that is fun to watch and has a bright future in this league. Despite the success the teams have experienced this season they have struggled in the same area, road games. Both teams boast great home records, Denver 34-7 & San Antonio 32-9, while the road records aren’t anything to brag about, Denver 20-21 & San Antonio 16-25. Naturally, in the four meetings between the teams they split the games with home teams winning each game. This kind of split usually translates into the postseason, although it might differ in this series, with the vast difference in experience is hard to ignore. Denver has had a fine season, but they are set up perfectly for a first round upset. It’s no disrespect to what is a team that will be contending for years to come but it is hard to ignore the vast difference in experience between the squads. 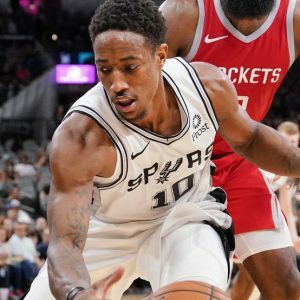 Should San Antonio win game 1 the pressure shifts on the 2 seed and then you’ll see the inexperience kick in as they’ll start pressing and making uncharacteristic mistakes. Ironically enough the last 7 seed to win a playoff series was in fact, the San Antonio Spurs back in 2010 over the Dallas Mavericks. While San Antonio Denver may hold the title for most intriguing this matchup will be hands the most intense and exciting matchup of them all. Their matchups have been chippy all season and Russell Westbrook vs. Damian Lillard has been dating back since Lillard was drafted by Portland in 2012. Westbrook made that known in one matchup earlier in the season when he repeatedly told Lillard he’s been busting his a** for years. Both teams are facing a ton of pressure as they are trying to start translating their consistent regular season success into extended postseason success, rather than quick exits. What had looked like a solid move in the offseason has formulated into just that throughout the year for OKC. Schroder has been the perfect backup point guard for Westbrook as he’s provided a nice pace for the Thunder, and they have lacked a viable backup option prior to his arrival. In his first season with Oklahoma City Schroder averaged 15.4 points per game this season. 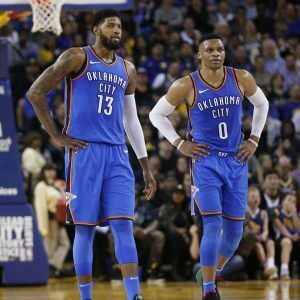 What has doomed the Thunder in the two post-seasons post Kevin Durant has been the inability to matchup with the opposition when Westbrook has headed to the bench. While Schroder isn’t on the same level as Lillard or CJ McCollum, but he provides a much-needed spark when he checks into the game. In the 4 games against Portland this season his numbers have taken a little dip, averaging 12.3 points and shooting only 37.2 percent, he’ll need to step it up for sure now that the post season has arrived. The dip in numbers didn’t affect the Thunder too negatively as they swept the season series vs. Portland 4 games to 0. 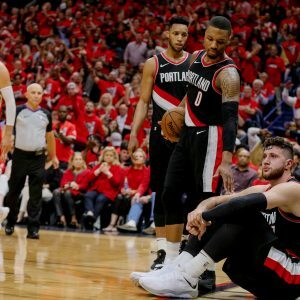 Should his numbers improve in this upcoming series it could spell doom for Portland who was swept in the first-round last season by the Pelicans. With the injury to Nurkic, Steven Adams may very well be the most important player in this series. Nurkic was having a remarkable season before suffering a gruesome leg injury on March 25th against the Nets. Needless to say, it’ll be very tough for Portland to slow down OKC in the paint, yes, they’re 7-2 since the injury but the playoffs are a different animal. In the 4 games against Portland this season Adams averaged 10.3 points and 7 rebounds per game, down from 14.1 and 9.6 in all other games. With Nurkic sidelined now expect the Thunder big to put up numbers similar to his regular season numbers against the shorthanded Blazers frontcourt. 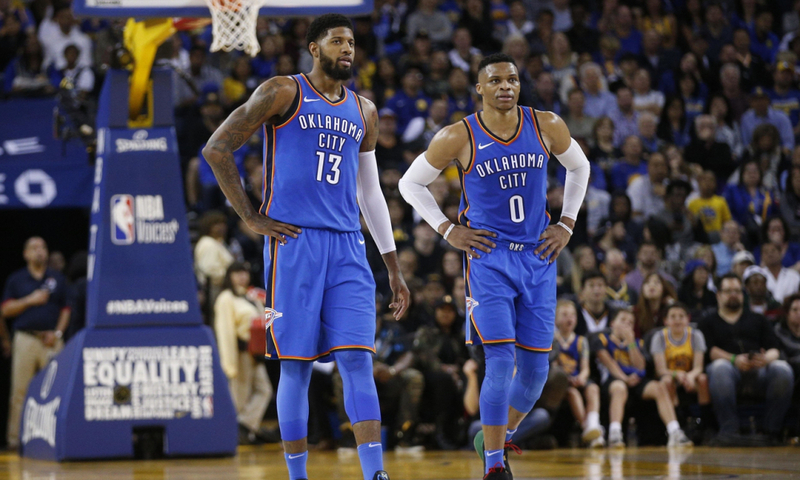 Paul George and Westbrook have each had great success in the season series, so they’ll be the primary focus and Adams will reap the benefits. While Enes Kanter provides a nice spark on offense he lacks a strong defensive game and Westbrook will exploit that with his explosiveness leading to a freed-up Adams. 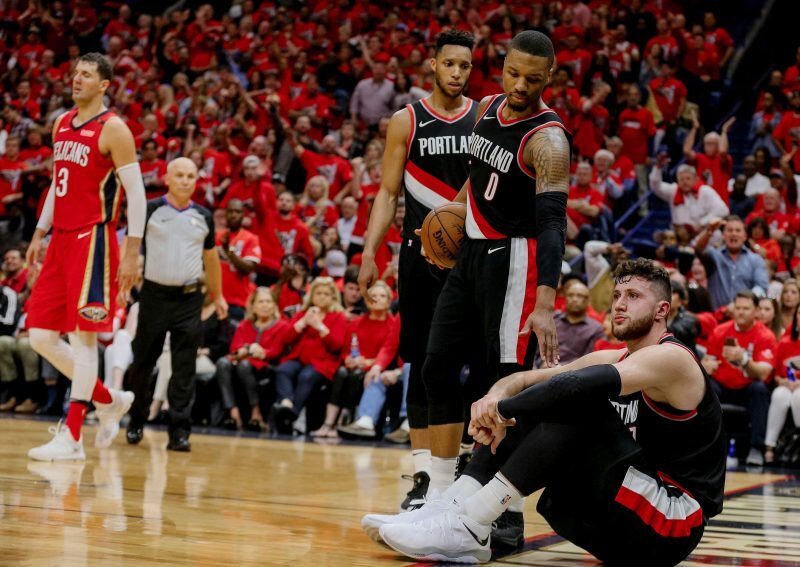 With or without Nurk this would’ve been tough for Portland and missing him may very well be their undoing, leading to the first postseason series victory post-Durant. It’ll be a very tense series that will very likely have multiple scuffles and plenty of trash talking. The final series to begin will take place between the Utah Jazz and Houston Rockets. This series continues the trend of great matchups in the first round, prepare for this series to go the length. Both teams overcame a shaky first month and a half to turn it on once the new year came around. A surprising first-round victory over the Thunder last season has Jazz fans excited for the future of this team. A year removed from the 1 seed, the Rockets find themselves in a different situation as their path to a return to the Western Conference finals will be a little tougher. On top of those storylines, this is also a rematch of last season’s Western Conference quarterfinals matchup between the two, with Houston winning in 5. As was the case with the previous two series, this one will be fun. Ingles was crucial in the first-round victory last season for Utah and he’ll be vital for the team to find success against Houston. Ingles leads the Jazz in three-point shooting and they’ll need a ton of it to keep up with the Rockets, they’ve made 330 more threes than Utah. Luckily for Utah, Ingles turned it on vs. H-Town this season, shooting at 45.8 percent clip from downtown. He has also shown he can shoot it from deep in the postseason shooting over 45 percent in 11 games last year. His ability to knock down triples at a high rate when he gets it going is pivotal for Utah, and when Houston inevitably goes on a scoring run it’ll be huge for him to hit big buckets. Experience and a proven track record matters in the postseason and Ingles brings both. He silently averaged 5.7 assists per game, a respectable number for a small forward who is primarily a spot-up shooter. These assist numbers may be even more important than his shooting because Houston will certainly be keen on him, and he’ll need to be on his toes in finding open teammates. In order for Utah to stay even with Houston in this series he’ll need to shoot north of 40 percent again, in last season’s series he had a couple of 2-7 performances from three that resulted in Jazz losses. 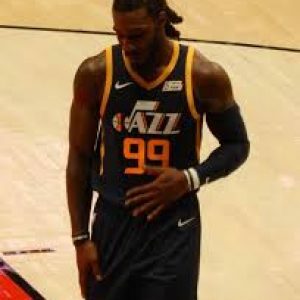 Crowder will have the most important role of any Utah Jazz player in this series, defending the reigning MVP James Harden. 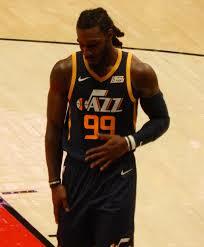 Other than Rudy Gobert, Crowder is probably the best defender on the roster, so it only makes sense that he takes on the beard. Crowder was seen talking to Patrick Beverley after the regular season finale against the Clippers with Beverly explaining how to guard Harden. With Harden averaging 33.5 against Utah this season it might be in Crowder’s best interests to listen to Beverly. 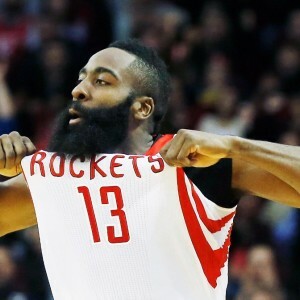 His defense will have to set the tone and make other people on Houston beat them, which isn’t all that bad for Houston when you have Chris Paul on your team and Eric Gordon shooting threes but slowing down Harden is a start. Crowder is a capable three-point shooter, but shooting 33 percent isn’t going to cut it against Houston. He’ll need to hit at a higher clip along with Ingles and Kyle Korver in order to counter all the threes that will be thrown their way. 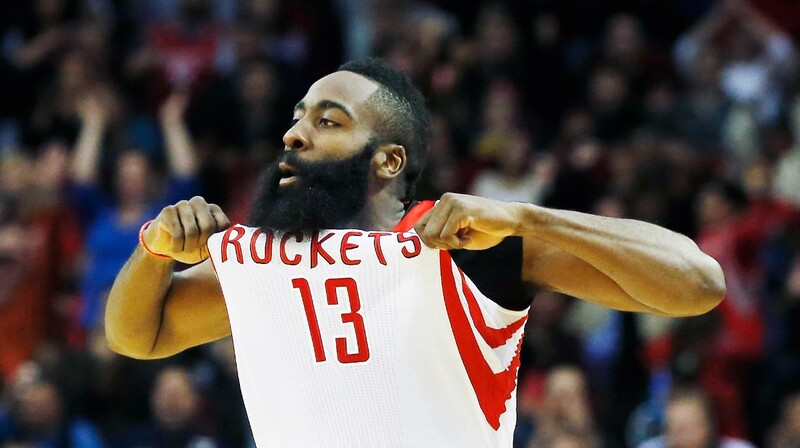 He brings passion and toughness which is so vital in basketball, especially come playoff time. Utah will need a lot of high effort, high-intensity possessions in this series as it’ll be very difficult playing at Houston’s pace. This has the makings to be a first-round classic and just might go the distance. With game 7 in a rocking Toyota Center Houston will begin their quest for redemption after last season and will end Utah’s season for the second year in a row. This first round comes with a lot of hype and it should definitely live up to it, setting the stage for a great set of series and games. Just sit back and enjoy the show for the next two months, the playoff cage match has begun.